A sharp-eyed Spectator drew my attention to an odd little fact in that terrible story of the Canadian sentenced to death in China. Robert Lloyd Schellenberg, a 36-year-old from Abbotsford, BC, was arrested in 2014 and found guilty in 2016 of participating in a drug ring that sought to smuggle more than 200 kilograms of methamphetamine out of a Chinese port city and into Australia. In November 2018, Schellenberg was sentenced to 15 years in jail and had 150,000 yuan (US$21,800) worth of his assets seized. Schellenberg appealed the sentence, but during the appeal hearing at the Lioning Provincial High People’s Court, prosecutors argued the sentence was too lenient — that Schellenberg, tried as a drug-ring accomplice, was actually a king pin. The high court ordered the case returned to the Intermediate People’s Court for a one-day retrial which resulted — last Saturday — in the death sentence for Schellenberg. Most of the media coverage has centered on the timing of the retrial — and the harshness of the sentence — suggesting Schellenberg is a victim of an ongoing diplomatic dispute between Canada and China, sparked by Canada’s arrest of the chief financial officer of the Chinese technology giant Huawei. You know, the CBRM’s SISTER CITY. “This is a wonderful opportunity to partner with one of the largest port cities in the world. 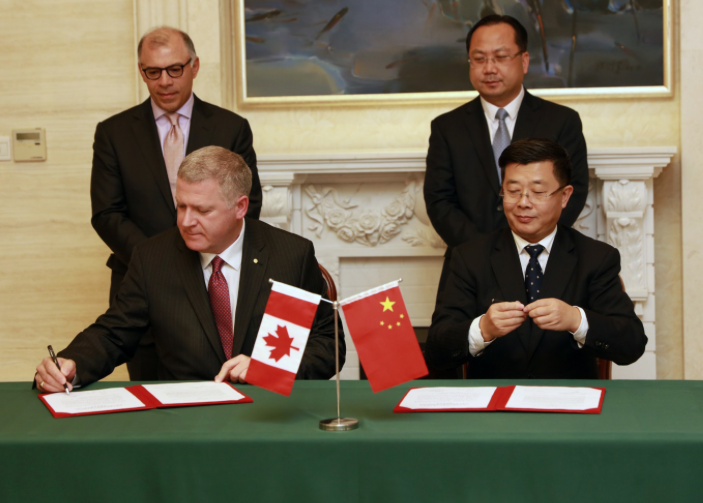 It fits our long term aim of participating in China’s exciting global maritime trade strategy. In addition to port cooperation, we see very real opportunities to promote mineral, manufacturing and fisheries exports. From our months of preparatory work with them we know that City of Dalian and Liaoning Province will make terrific partners. This was made possible by Harbor Port Development Partner’s strong global network”, said CBRM Mayor Cecil Clarke. Perhaps we should rethink this relationship. And speaking of inter-municipal relationships, let’s hope things work out better with our newest “partner city,” Wałbrzych, Poland. Mayor Clarke met (virtually) with the mayor of Wałbrzych, Roman Szelemej, last week to sign the agreement. Szelemej is a cardiologist, so perhaps we can hit him up for some ideas on doctor recruitment. Polish mayors run as representatives of political parties — just like our mayor! — and Szelemej belongs to the center-right Civic Platform, which lost the federal elections in 2015 to the right-wing Law and Justice Party. Law and Justice was founded in 2001 by — you can’t make this stuff up — identical twin brothers Lech and Jarosław Kaczyński. (I was living in the Czech Republic when the Kaczyński twins came to prominence politically and I remember debating with friends whether they’d take each other’s places at public events.) Lech, who served as president, died in a plane crash in 2010, while Jarosław, who served as prime minister, is now the chair of the party and a “simple MP,” who nevertheless, according to the Economist, remains Poland’s “real leader” despite his failing health. Poland’s politics (like its history) are too complex to cram into a single Fast & Curious item, but suffice it to say, I am not a fan of the Law and Justice Party’s policies and I am relieved that our new “partner” city apparently isn’t either. According to local lore, the train vanished after it entered a complex of secret tunnels carved by the Germans into the Owl Mountains as they fled the advancing Soviet Army in 1945. But skeptics have said there was no hard evidence to corroborate the story, and the digging near Walbrzych did not change that. The intense speculation about the elusive train brought global attention to Walbrzych, a charming if slightly run-down town of 120,000 people that has struggled with high unemployment since five coal mines in the area closed in the 1990s. The publicity attached to the non-find sparked a 44% increase in tourism (the Polish equivalent of Cape Breton’s “Trump Bump”) and caused Mayor Szelemej to tell the NYT that he was grateful to the treasure hunters, because before the hunt for the Nazi train began the town had been best known for illegal coal mining. Mayor Szelemej has a sense of humor (and Poland has abolished the death penalty). This may just work out fine. Those of you enjoying “Tidying Up” — the Netflix series starring Marie Kondo, the organizational guru whose “KonMari” method advises people to throw out everything in their lives that doesn’t “spark joy” — will be delighted to hear Nova Scotia has its own Marie. Our tidying-up master, though, is not a neatly turned out, four-foot-eight Japanese woman but a bearded, former CBC morning show host who once ran for federal office under the banner of the right wing Canadian Alliance party. He’s Jordi Morgan of the Canadian Federation of Business, and although he likes to use closet metaphors to make his point, what he actually wants to clean up is our “ridiculous” municipal rules. For every new municipal rule that comes into force, one needs to be eliminated so when a new government rule is needed, it doesn’t just get added to the pile. One, or sometimes more, out-dated or unnecessary rules are eliminated at the same time. Donald Trump has famously introduced a version of the MorJordi Method in the United States, where he’s issued an executive order directing federal agencies to repeal two regulations for each new rule they introduce. This is working out swimmingly, despite naysayers like Chris Shelton of the Communications Workers of America (CWA) who feels workers shouldn’t be forced to “trade off one set of job, health and safety protections in order to get protection from another equally dangerous condition” and whose union — along with the Natural Resources Defense Council (NRDC) and Public Citizen — are suing Trump over it. But Trump didn’t come up with the idea all by himself, he had examples right here in Canada to follow. British Columbia introduced a province-wide “One-In, Two-Out” rule in 2001 and Prime Minister Stephen Harper introduced a “one-for-one” rule under his Red Tape Reduction Act in 2015 that is still in force. All of us have read lurid media accounts of unpleasant, freak accidents: the man pruning his shrubbery who cuts through the high-voltage wires and is electrocuted; the spectator at a hockey game hit by a stray puck who later dies from the impact; the drunken guest who stumbles over a wall that is a little too low, falls some distance, and finds herself a quadriplegic. Not only have we read the accounts, but we have been told that “one unfortunate accident is one accident too many. There oughtta be a rule.” Well, there is. In fact, there is a rule regulating just about every conceivable human activity or enterprise. But often, we don’t realize just how invasive—and costly—those rules and regulations are. 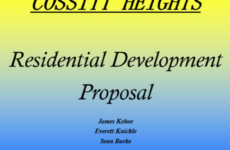 One area where rule-making has reached unprecedented zealousness seems to be in the area of municipal building codes. I get it, by the way, I know that over-regulation exists and I am not opposed to dealing with it, but the one-in-one-out rule is not simply intended to remove “dumb” regulations (and by the way, it’s worth considering who gets to define “dumb”), it’s intended to target regulations, period. Take Morgan’s closet example: suppose you follow the “one-in-one-out” rule for every article of clothing you buy. As a result, you have a beautifully uncluttered closet. But let’s say you get a job that requires you to work outside in all weather and you buy a rain suit — do you have to throw out a jacket and a pair of pants to accommodate it? The MorJordi method would say yes, you do. And you know where that would end: you wearing your rain suit to work on laundry day. In the real world, new regulations are required to deal with new issues. Take internet privacy, we need rules to govern it but does that mean we can forgo laws protecting our mail? If what you’re concerned about is unnecessary laws, why not target unnecessary laws? 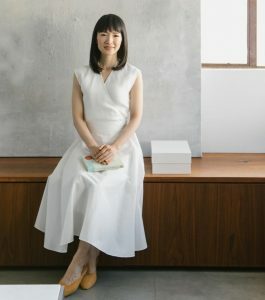 This would actually be more like the KonMari Method, to be honest — Kondo doesn’t insist on a one-in-one-out approach, she simply advises you to lose the things you do not need. And then fold the things you do keep really weirdly. But that’s pushing the closet-cleaning metaphor too far. Greg MacVicar, a reporter and editor based in Marion Bridge whose by-line is no doubt familiar to you (from The Cape Breton Post, The Chronicle Herald, Cape Bretoner Magazine, Saltscapes and other places) has launched an online publication called Backstory NS and you really need to check it out. 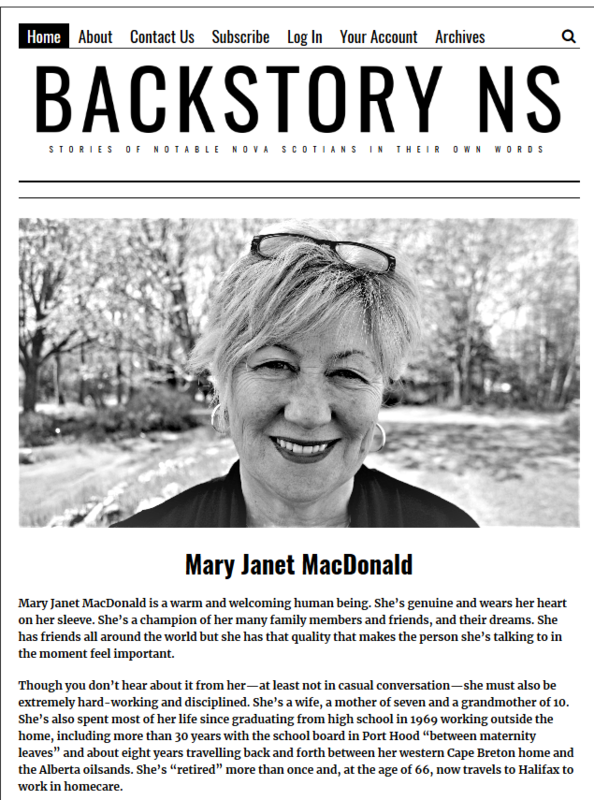 Backstory NS is a digital publication which presents the stories of notable Nova Scotians from all walks of life in their own words. 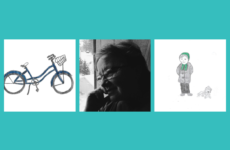 Biweekly, on Saturday mornings, Backstory NS publishes a long-form, compelling story accompanied by eye-catching photographs. Each story is based on an old-fashioned visit with the storyteller, and the result is an interview that delves far beneath the surface—in search of the backstory—and is meant to be read and reread at one’s leisure. Backstory NS is not a tourist or promotional magazine. The stories are by turns gritty, funny, scary, sad, insightful and inspiring. They’re told with wit, humour and pathos. In this age of “branding,” “content creation” and “strategic communications,” these stories are refreshing. They’re the real deal. I didn’t launch the publication because I necessarily felt there was a need for it as much as I felt it was something I would like to do. If I can earn part of my living from this, all the better. I enjoy travelling around Nova Scotia, especially in the late spring, summer and early fall. I enjoy visiting and interviewing interesting and intelligent people. I enjoy the food they offer me! I’ve had some great meals but one that really stands out was at Mary Janet MacDonald’s in Port Hood. I visited in early June and lunch was a fresh lobster sandwich made with Mary Janet’s homemade bread, homemade ginger cookies and a perfectly brewed cup of tea. But I digress. I enjoy editing the stories. I’ve come to learn that I enjoy designing, laying out and managing an online publication. I also enjoy reading and rereading the finished product complete with photographs. I hope others do, too. 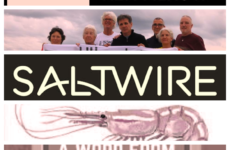 I’d simply like to offer a publication that’s entertaining and engaging through its stories and photographs. Anything else is a bonus…Although I’m a journalist, I don’t really consider the content in Backstory NS to be journalism. However, its in-depth stories and photos are more satisfying than the general interest stories found in most conventional newspaper, which I feel should focus more on hard news. It’s dangerous to generalize, but I think we’re more curious about our neighbours in Nova Scotia than in many other places around the world. I think that’s why we like reading obituaries so much! It’s hard to nail down how I pick the people I ask for interviews. But one saying comes to mind: they’ve “been through the mill.” They don’t have to be old or well-known but they will have struggled to achieve something of note or to simply have survived. They’re intelligent, open and good storytellers. And they tend to be humble, have a good sense of humour and be progressive, whatever that mean. They’re often people who question and challenge the status quo. The key, clearly, is that the people MacVicar interviews don’t have to be old. A subscription will cost you $40 for the year ($80 for businesses and government agencies) which, if you calculate it on a per-word basis is a fantastic bargain. 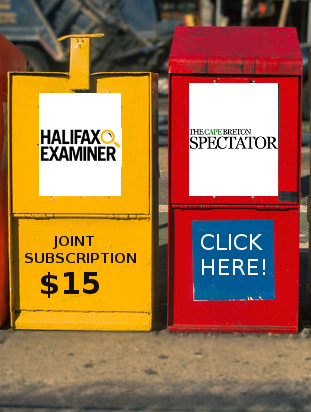 I’m delighted to welcome Backstory NS to the brave new world of online publishing in this province — and, hand to heart, I would extend the same welcome even if I wasn’t one of the not-old people interviewed.